Brooches, brooches everywhere--this classic accessory is re-emerging on all fashion fronts. The brooch is a unique piece with the versatile ability to be placed almost anywhere. So why not place a few on your bouquet? How about a special one on your dress? Maybe use them on everything! 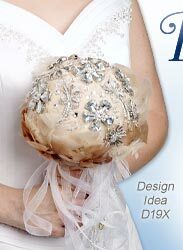 Adding jewelry to the bride's bouquet provides spectacular sparkle as she walks down the aisle. Make your guests utter sounds of "ooh" and "ahh" as you say "I do." 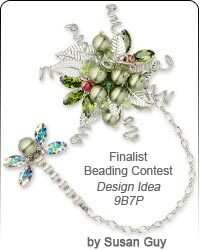 Pin a brooch to your bouquet and drape complementary colored Swarovski crystal in varying lengths from the stem to refract light and add captivating flash. 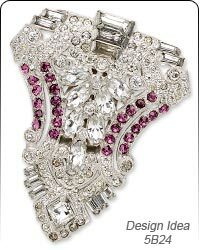 Let the brooch take center stage by placing multiple brooches among the flowers of your bouquet. 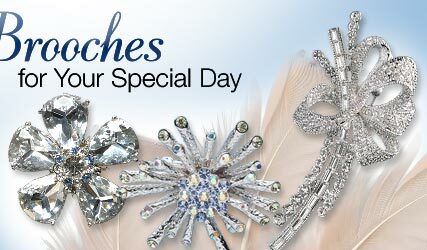 Feather bouquets are also in the fashion spotlight and provide a perfect background for adding timeless brooches. 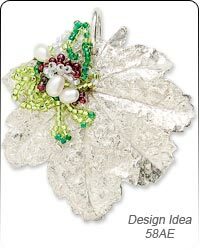 Use a special family heirloom or find a selection of brooches to represent the bride's style. 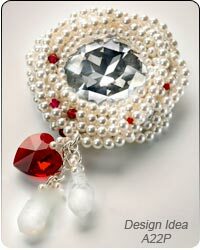 Even make your entire bouquet from brooches with the help of the ''Jewelry Bouquets'' Pearls of Wisdom article. The bouquet, however, isn't the only brooch-worthy bridal accessory. You spent hours (possibly more like days, weeks and months) looking for your dress. Draw the eyes of your guests to your beautiful gown or to specific elements that made you fall in love with your dress in the first place by strategically placing a brooch or two. 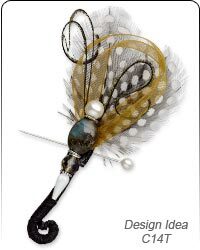 Use brooches to gather tulle or ruffles, on a sash or ribbons, to accentuate the veil or where the dress straps connect to the main gown for sparkling additions to your wedding jewelry. Liven up the bridesmaids' smaller bouquets with brooches as well. 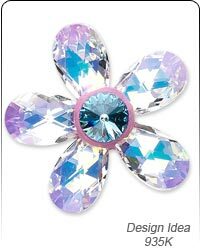 Use all the same metal tone or spice up the girls' flowers with some vibrant enamel or crystal. Even better, the brooch placed in the bouquet for each bridesmaid can double as a thank you gift for being a part of your special day. 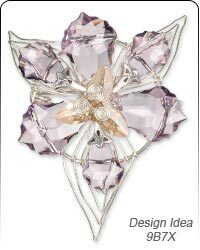 If you would prefer to leave the bouquets as flowers, a bridesmaid brooch can also be worn to match how the bride will be incorporating her brooch in to her ensemble. 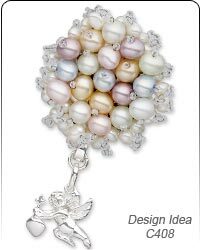 If the bride is wearing a gorgeous brooch on the right strap of her dress, have the bridesmaids wear a complementary one on their left. Brooches need not only be applied to dresses or bouquets, these accessories can find their way onto centerpieces for the reception tables as well. Fill vases with flowers in your wedding colors, tie silk or a ribbon around the vase and attach a brooch for the perfect centerpiece addition. Watch as glass or crystal brooches reflect candles and lights onto tablecloths creating a luxurious and romantic mood for your reception. 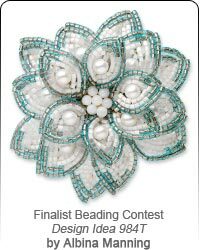 Select brooches that match or complement the wedding colors, or choose a few that represent more of your overall personality. 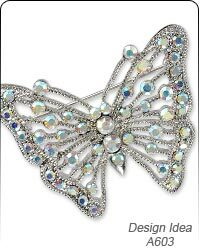 Can't find the particular brooch you feel is worthy of your wedding ensemble or decorations? Create your perfect wedding accessory with pin backs for a creative and unique touch. 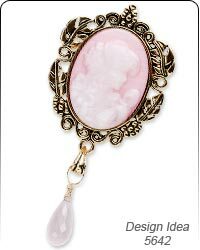 Dangle crystal, chain or other fashionable elements from loops and filigree designs. 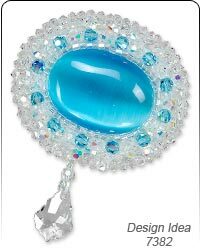 Find anywhere and anything to accessorize with beautiful brooches for fashionable wedding decorations.